This article is about the composer. For the entrepreneur, see Howard Shore (entrepreneur). For the judge, see Howard H. Shore. Howard Leslie Shore OC (born October 18, 1946) is a Canadian composer who is notable for his film scores. He has composed the scores for over 80 films, most notably the scores for The Lord of the Rings and The Hobbit film trilogies. He won three Academy Awards for his work on the first trilogy, with one being for the original song "Into the West", an award he shared with Eurythmics lead vocalist Annie Lennox and writer/producer Fran Walsh, who wrote the lyrics. He is also a consistent collaborator with director David Cronenberg, having scored all but one of his films since 1979. In addition to his three Academy Awards, Shore has also won three Golden Globe Awards and four Grammy Awards. 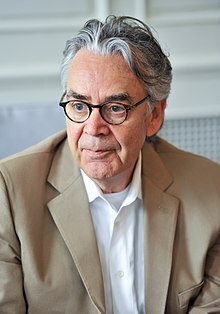 Howard Shore was born in Toronto, Ontario, Canada, the son of Bernice (née Ash) and Mac Shore. Shore is Jewish. He started studying music at the age of 8 or 9. He learned a multitude of instruments and began playing in bands at the ages of 13 and 14. When Shore was 13, he met and became good friends with a young Lorne Michaels in summer camp, and this friendship would later be influential in his career. By 17, he decided he wanted to pursue music in his adult life too. He studied music at Berklee College of Music in Boston after graduating from Forest Hill Collegiate Institute. From 1969 to 1972, Shore was a member of the jazz fusion band Lighthouse. In 1970, he became the music director for Lorne Michaels and Hart Pomerantz's short-lived TV program The Hart & Lorne Terrific Hour. Shore wrote the music for Canadian magician Doug Henning's magic musical Spellbound in 1974 and, from 1975 to 1980, he was the musical director for Lorne Michaels' influential late-night NBC comedy show Saturday Night Live, appearing in many musical sketches, including Howard Shore and His All-Nurse Band, and dressed as a beekeeper for a John Belushi/Dan Aykroyd performance of the Slim Harpo classic "I'm a King Bee". Shore also suggested the name for The Blues Brothers to Dan Aykroyd and John Belushi. Shore's first film score was to the low budget thriller I Miss You, Hugs and Kisses (1978), followed by David Cronenberg's first major film, The Brood (1979). He would go on to score all of Cronenberg's subsequent films, with the exception of The Dead Zone (1983), which was scored by Michael Kamen. The first film he scored that was not directed by Cronenberg was Martin Scorsese's After Hours (1985). Following that, he scored The Fly (1986), again directed by Cronenberg. Two years later, he composed the score to Big (1988), directed by Penny Marshall and starring Tom Hanks. He then scored two more of David Cronenberg's films: Dead Ringers (1988) and Naked Lunch (1991). During 1991, Shore composed the score for the highly acclaimed film The Silence of the Lambs, starring Jodie Foster and Anthony Hopkins, and directed by Jonathan Demme. He received his first BAFTA nomination for the score. The film became the third (and most recent) to win the five major Academy Awards (Best Picture, Best Director, Best Screenplay, Best Actor, and Best Actress). Shore is the only living composer to have scored a "Top Five" Oscar-winning film. During 1993, he composed the scores for M. Butterfly (another collaboration with Cronenberg), Philadelphia (his second collaboration with Jonathan Demme), and Mrs. Doubtfire, directed by Chris Columbus. The latter two films were highly successful, Philadelphia winning Tom Hanks his first Oscar. Shore scored another three films in 1994: The Client, Ed Wood, and Nobody's Fool. Ed Wood is notable for being one of the three films directed by Tim Burton that did not feature a score by Danny Elfman. Shore continued to score numerous films from 1995 to 2001, including two David Fincher films, Seven (1995) and The Game (1997), and The Truth About Cats and Dogs (1996), directed by Michael Lehmann; he also collaborated on two films with Cronenberg, along with Tom Hanks' directorial debut, That Thing You Do!. Shore also composed the score of the 2000 film The Cell. Major success came in 2001 with his score to The Lord of the Rings: The Fellowship of the Ring, the first film in the highly acclaimed The Lord of the Rings trilogy. The news that Shore would score the trilogy surprised some, since he was primarily associated with dark, ominous films and had never scored an epic of this scale. However, the score was hugely successful and won Shore his first Oscar, as well as a Grammy Award, and garnered Shore nominations for a Golden Globe and a BAFTA. A cue from this film (The Bridge of Khazad-Dûm) was used in a teaser for 2013's Superman film, Man of Steel. The following year, Shore composed the scores to Panic Room, Gangs of New York (replacing Elmer Bernstein), and The Lord of the Rings: The Two Towers, the second film in the trilogy. (The latter two films were both nominated for the Academy Award for Best Picture.) Initially, Shore's score for The Two Towers was going to be deemed ineligible for submission to the Academy, due to a new rule that disallowed the submission of scores which contained themes from previous work. However, the implementation of this rule change was subsequently postponed, meaning the score remained eligible. Ultimately, The Two Towers score did not receive an Academy Award nomination; Shore did, however, receive a BAFTA nomination for Gangs of New York. In 2003, he composed the score for the final film in The Lord of the Rings trilogy, The Lord of the Rings: The Return of the King. The film was the most successful film in the trilogy and the most successful of the year. Shore won his second Oscar for Best Original Score, as well as a third for Best Original Song for "Into the West", which he shared with Fran Walsh and Annie Lennox. Shore also won his first Golden Globe, his third and fourth Grammy (the fourth for Best Song), and was nominated for a third BAFTA. The scores of The Lord of the Rings, performed primarily by the London Philharmonic Orchestra, became one of the most successful film scores ever written and the biggest success in Shore's career. In 2004, Shore again collaborated with Martin Scorsese, scoring his epic film The Aviator, this time with the Brussels Philharmonic. He won a second Golden Globe for the score, becoming the third composer to have won consecutive Golden Globes in the Original Score category. He also received his sixth Grammy nomination, and his fifth BAFTA nomination. He collaborated again with David Cronenberg in 2005 to score A History of Violence, starring Viggo Mortensen. The film was a success and received two Oscar nominations. In 2006, he collaborated for the fourth time with Martin Scorsese, this time to score The Departed. The film was highly successful and won four Oscars, including a long-awaited win for Scorsese, and Best Picture. Although Shore was originally commissioned to compose the soundtrack for King Kong, he was later replaced by James Newton Howard due to "differing creative aspirations for the score" on his and the filmmakers' parts. This was a mutual agreement between himself and Peter Jackson. Despite this, Shore has a cameo near the end of the film as the conductor of the orchestra in the theater, performing portions of Max Steiner's score to the original 1933 version of the film. In 2007, Shore composed the music for Soul of the Ultimate Nation, an online multiplayer video game. The soundtrack is notable for being the first video game soundtrack to feature Lydia Kavina on the theremin. During 2007 he also composed the scores for The Last Mimzy and Eastern Promises, the latter of which includes a section that has been performed in concert as Shore's Concertino for violin solo and chamber orchestra. Eastern Promises was another collaboration with David Cronenberg and earned Shore his fourth Golden Globe nomination. In 2008, he scored Doubt, starring Meryl Streep and directed by John Patrick Shanley. The film was a success, earning five Oscar nominations. In 2010, Shore composed the score to Eclipse, the third installment in the Twilight film series, following Carter Burwell and Alexandre Desplat, who scored the first and second films, respectively. He also replaced John Corigliano to score Edge of Darkness, starring Mel Gibson. Shore's 2011 projects were A Dangerous Method, continuing his long-term collaboration with director David Cronenberg. He also composed the score to Martin Scorsese's Hugo, his fifth collaboration with the director, which earned him a sixth Golden Globe nomination and fourth Oscar nomination. He also composed the score to Peter Jackson's The Hobbit film series. Since 2004, he has toured the world conducting local orchestras in the performance of his new symphonic arrangement of his highly acclaimed Lord of the Rings scores. The new work is entitled The Lord of the Rings: Symphony in Six Movements. There are two movements for each of the movies, and an intermission between the second and third (or first and second film titles) movements. The concert presentation of the symphony also includes projected still images of sketches by John Howe and Alan Lee relating the music being performed to scenes from the films. Recently, however, Shore has been busy with other projects, leaving other conductors including Markus Huber, Ludwig Wicki, Alexander Mickelthwaite, and John Mauceri to lead the orchestras. April 24, 2008 marked the North American Live to Projection debut of Fellowship of the Ring, with the score performed live by the Winnipeg Symphony Orchestra, conducted by Ludwig Wicki. Wicki also conducted the Filene Center Orchestra at the Wolf Trap Farm Park in Vienna, Virginia on May 21 and 22, 2008 in the U.S. premiere of the Fellowship of the Ring Live to Projection. September 16, 2010 Shore conducted the RSO Vienna (Vienna Radio Symphony Orchestra) which performed "In Dreams from The Fellowship of the Ring" at Hollywood in Vienna in Vienna, Austria. Shore was commissioned by Macy's to write a Fanfare for the Store's 150th anniversary featuring the Philadelphia Orchestra and the Wanamaker Organ, the world's largest playing pipe organ. The work was debuted in the Grand Court of Macy's Philadelphia Store on September 27, 2008 in a concert that drew reviews from most of the major East Coast newspapers. Shore's opera The Fly had its world premiere performance at the Théâtre du Châtelet in Paris on July 2, 2008 and its United States premiere at Los Angeles Opera on September 7, 2008. The production was directed by David Cronenberg and conducted by Plácido Domingo. The Fly had a new production mounted by Theatre Trier in Germany in 2014 staged by Sebastian Welker and conducted by Joongbae Jee. Shore was commissioned by the Beijing Music Festival to write Ruin and Memory, a piano concerto, for renowned pianist Lang Lang. The world premiere was on October 11, 2010 performed by Lang Lang, The China Philharmonic Orchestra and conducted by Long Yu. His second concerto, Mythic Gardens, premiered April 27, 2012 with Sophie Shao on cello solo, The American Symphony Orchestra and conducted by Leon Botstein. Shore's song cycle A Palace Upon the Ruins premiered in 2014 at the Bridgehampton Chamber Music Festival and at the La Jolla SummerFest featuring mezzo-soprano Jennifer Johnson Cano. A Palace Upon the Ruins is a song cycle of six songs with words by Elizabeth Cotnoir. Sea to Sea was commissioned by New Brunswick Youth Orchestra in celebration of Canada’s 150th anniversary of confederation and premiered on July 2, 2017 in Moncton, New Brunswick with soloist Measha Brueggergosman and Antonio Delgado conducting. Sea to Sea has lyrics by Elizabeth Cotnoir. The song cycle L’Aube premiered October 19 & 20, 2017 in Toronto at Roy Thompson Hall conducted by Peter Oundjian and performed by soloist Susan Platts and commissioning orchestra, the Toronto Symphony Orchestra. L’Aube consists of five songs with text by Elizabeth Cotnoir. The Forest a guitar concerto composed for Miloš Karadaglić will premiere in Ottawa on May 1 & 2, 2019 with the National Arts Centre Orchestra and Alexander Shelley conducting. In addition to writing the original theme song for Saturday Night Live, as well as the closing theme, Shore also co-wrote the theme song for Late Night with Conan O'Brien with John Lurie. The theme was carried over to The Tonight Show when O'Brien succeeded Jay Leno as host. Shore narrated a one-hour CBC Radio documentary/soundscape on music in thriller/suspense film genres also including references to radio dramas and other media. The episode was called "Unsettling Scores" and premiered on the program called Inside the Music. Shore is married to Elizabeth Cotnoir, a writer, producer and documentary filmmaker. He has a daughter, Mae. He is the uncle of film composer Ryan Shore. As of 2004, Shore lives in Tuxedo Park, New York. Shore has received four Academy Award nominations, winning three, two for Best Original Score, for The Lord of the Rings: The Fellowship of the Ring (2001), and The Lord of the Rings: The Return of the King (2003). He also won the Oscar for Best Original Song for "Into the West" from The Lord of the Rings: The Return of the King. He received his fourth nomination for his work on Hugo. Shore has also received six Golden Globe nominations, winning three consecutive awards for Best Original Score and Best Original Song - "Into the West" for The Lord of the Rings: The Return of the King (2003) and The Aviator (2004), making him the second composer (after Alan Menken) to have received consecutive Golden Globe Awards for Best Original Score. He also won three consecutive Grammy Awards for Best Score for each of the Lord of the Rings films, and received a second award in 2003 for the song "Into the West" from "Return of the King" in the category of Best Song. He has also received five BAFTA nominations, but has not won. On June 11, 2007, Shore was awarded an Honorary Doctor of Letters Degree from York University in Toronto for "his sweeping artistic vision". Shore has also been honored with awards from The National Board of Review, Recording Academy Honors, The Broadcast Film Critics, Chicago Film Critics, Genie Award, World Soundtrack Award, New York's Gotham Award, and The Saturn Award for Science Fiction. Shore is the first recipient of the Film & TV Music Award for Best Score for a Science Fiction Feature Film for The Last Mimzy. In May 2008, he was awarded an Honorary Doctorate of Music from Berklee College of Music during Berklee's commencement ceremony at the Agganis Arena. On September 16, 2010 he was awarded the Max Steiner Film Music Achievement Award by the City of Vienna at the yearly film music gala concert Hollywood in Vienna. In 2012, he received Canada's Governor General's Performing Arts Awards for Lifetime Artistic Achievement. In 2016, he was appointed as a Officer of the Order of Canada for his work towards the film and music industry. ^ "The Fly The Opera". The Fly The Opera. Archived from the original on August 18, 2012. Retrieved December 18, 2012. ^ "Howard Shore Biography (1946-)". Film Reference. Advameg, Inc. Retrieved March 18, 2014. ^ "Mac Shore". Variety. November 5, 2002. Retrieved December 1, 2014. ^ "Toronto's Jewish community will have lots to watch on Oscar night". Jewish Tribune. January 31, 2012. Archived from the original on July 3, 2015. Retrieved January 9, 2015. ^ "Movie Geeks United Interview". Movie Geeks United. Retrieved January 28, 2014. ^ "Movie Geeks United Interview of Howard Shore". Movie Geeks United. Retrieved January 28, 2014. ^ a b Greiving, Tim (December 30, 2016). "Before he won Oscars for his music, composer Howard Shore helped kick off SNL". The Washington Post. Retrieved January 7, 2018. ^ a b Symkus, Ed (April 12, 2017). "'Lord of the Rings' composer Howard Shore counts his achievements by the score". The Boston Globe. Retrieved January 7, 2018. ^ Appelo, Tim (November 5, 2014). "'Lord of the Rings' Composer Howard Shore on Scoring 80 Movies: "I Often Felt Like Frodo"". The Hollywood Reporter. Retrieved January 7, 2018. ^ Steinblatt, Jim. "Howard Shore". ASCAP. Retrieved January 7, 2018. ^ Zeman, Ned (December 18, 2012). "Soul Men: The Making of The Blues Brothers". Vanity Fair. Retrieved January 7, 2018. ^ "Theme from The Lord of the Rings Featured in 'Man of Steel' Teasers". TheOneRing.net. July 21, 2012. Retrieved September 19, 2013. ^ Burlingame, Jon (January 18, 2003). "'Two Towers' score remains eligible, the academy says". Los Angeles Times. Retrieved September 19, 2013. ^ "'Alfie,' 'Aviator' and 'Ray' Rack Up Awards". Billboard. 117 (5): 12. January 29, 2005. ISSN 0006-2510. Retrieved January 7, 2018. ^ "Howard Shore Scores 'A History of Violence'". NPR. October 9, 2005. Retrieved January 7, 2018. ^ Debruge, Peter (November 16, 2006). "The Departed". Variety. Retrieved January 7, 2018. ^ "Shore leaves Jackson's King Kong". The Guardian. October 18, 2005. Retrieved January 7, 2018. ^ a b c d e Adams, Doug (October 27, 2010). "Why NZ Matters". The Music of The Lord of the Rings Films. Retrieved November 1, 2010. ^ "The Lord of the Rings Symphony". Howardshore.com. Retrieved July 9, 2017. ^ Patrick Stearns (September 28, 2008). "Pulling out all the stops Wanamaker Organ, Philadelphia Orchestra team up, 80 years late". articles.philly.com. Retrieved March 28, 2016. ^ "The Fly". Howardshore.com. Retrieved July 9, 2017. ^ "Howard Shore's Ruin and Memory Premiered by Lang Lang at the Beijing Music Festival". Schott Music. Archived from the original on March 10, 2015. ^ "Fisher Center Bard Events". Fishercenter.bard.edu. Retrieved July 9, 2017. ^ "A Palace Upon The Ruins (A Song Cycle)". Howardshore.com. Retrieved July 9, 2017. ^ Wheeler, Brad (December 7, 2017). "New Brunswick Youth Orchestra's soaring anthem Sea to Sea has illustrious roots". The Globe and Mail. ^ Robb, Peter. "Ottawa Symphony Orchestra: Howard Shore honours Maureen Forrester with a special song cycle". Artsfile. ^ "Miloš Performs Howard Shore". National Art Center. ^ "Howard Shore". imdb.com. Retrieved March 28, 2016. ^ Deanna Darr (May 16, 2013). "ON THE RECORD: 'Tapestry,' SNL songs close, but not the same". rapidcityjournal.com. Retrieved March 10, 2016. ^ Nate Chinen (May 1, 2009). "Steady Gigs, Late Shows". jazztimes.com. Retrieved March 28, 2016. ^ Josef Adalian (October 29, 2010). "Conan Will Have a New Theme ... Co-Written by Conan". vulture.com. Retrieved March 28, 2016. ^ Inside The Music: Unsettling scores. CBC radio. Retrieved September 29, 2014. ^ a b Adler, Carlye (April 29, 2004). "N.Y. minute: Howard Shore". Variety. Retrieved December 1, 2014. I live in Tuxedo Park, N.Y. and spend time in the West Village, where my wife Elizabeth Cotnoir, a writer-producer and documentary filmmaker, has an office. ^ "The SIRmon – The Official SModcast Internet News Portal". Newsaskew.com. Retrieved December 18, 2012. ^ ""Into the West" Wins Best Song: 2004 Oscars". Academy Awards. February 4, 2016. Retrieved January 15, 2018. ^ "Oscars 2012: 'Hugo' composer Howard Shore on Scorsese collaboration". Los Angeles Times. January 24, 2012. Retrieved January 15, 2018. ^ "YFile - Film composer honoured for 'sweeping artistic vision'". Yorku.ca. June 13, 2007. Retrieved December 18, 2012. ^ "Steve Winwood To Receive Honorary Doctor of Music Degree". Stevewinwood.com. Retrieved July 9, 2017. ^ "Hollywood-Komponist Howard Shore in Wien". September 15, 2010. Archived from the original on September 17, 2010. Retrieved September 22, 2010. ^ "Rush wins Governor General's Award". CBC News. March 6, 2012. Archived from the original on March 6, 2012. Retrieved March 6, 2012. ^ "Governor General Announces 100 New Appointments to the Order of Canada as Canada Turns 150". The Governor General of Canada His Excellency the Right Honourable David Johnston. Retrieved December 31, 2016. ^ "Composer Howard Shore to Score The Twilight Saga: Eclipse". FirstShowing.net. January 24, 2010. Retrieved July 9, 2017. 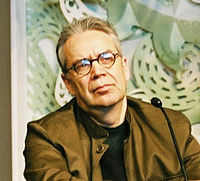 Wikimedia Commons has media related to Howard Shore.